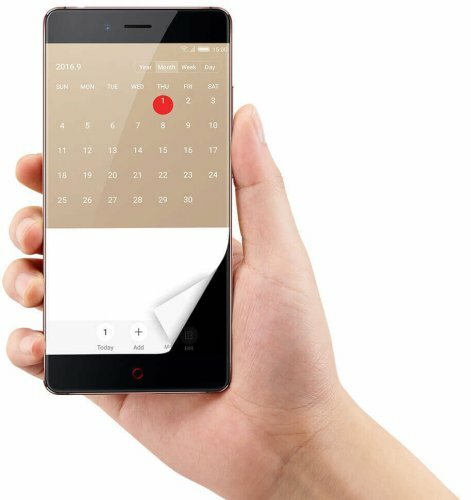 The Nubia Z11 Android Flagship Bezel-Less Smartphone was few hours ago launched into the global smartphone market, the smartphone which sports a 5.5inch full HD Display on a 1920 x 1080 pixel, powered by Qualcomm Snapdragon 820 processor. Like every other high end smartphones in the market, the Nubia Z11 Android Flagship Bezel-Less device come pre installed with about 6GB of RAM, a fingerprint scanner, USB-C port, and of course 64GB of storage. 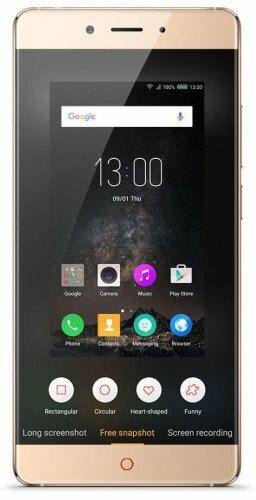 The Nubia Z11 Android Flagship Bezel-Less device is no doubt one of the best few smartphone around with such a huge memory, it has most, if not all the specs and features you can find in any flagship android phone in 2016. Contrary to the description given to this device as being bezel-free, well this isn’t entirely true: merely looking at the smartphone we can see both top and bottom bezels. however, the Z11 features a higher screen-to-body ratio giving it a more premium look. Interestingly, the device storage can be expandable with a microSD card up to 200GB, it also comes with a very sharp Sony IMX298 16MP rear camera with optical image stabilization and an 8MP front camera for selfie lovers. However, on the down side, it is said to come with 3,000 mAh battery with a fast charge feature, which the company claims can lasts for “at least” 1.5 days of run time, well not until it actually is in use,then users can determine for themselves how long it would last.. The Z11 uses qualcomm TruSignal dual antenna signal enhancement technique. The smartphone communication quality is increased by up to 30%. while Data transmission speed is increased by 40%. also the Communication power consumption reduced by 20%, giving you enough talk time with limited battery consumption. On the final note, the device produce a very great sound quality with built-in AK4376 audio chips, HiFi+ quality, at the same time with Dolby Atmos Dolby panoramic sound technology. Outer speaker adopts advanced SmartPA technology.